I might not be wrong If I will say that apps are the soul of Android OS. In fact, they are the reason why people buy Android phones, just to play high-graphics games like Asphalt, NFS, Temple Run and to run other useful applications. You might also have hundreds of apps installed in your phone. Apart from giving you entertainment dose, they also drain battery life and affects device's performance. Sometimes you may want to delete an app cached data manually in your Android phone. This can be help you to troubleshoot any problem. For example, If you're getting an error message while logging-in to your account or if an app crashes automatically after a long use, you can delete its cached data to troubleshoot these kinds of problems. Here's all what you need to know about this topic. As like computers, Android also have its own separate and reserved RAM memory which is used by system and other applications to save their temporary files such as images, text or thumbnails. In fact, this is the place where they work. Each app needs its own room to operate. For example, if you'll use an app (say photo editor), it will automatically save the photos and thumbnails in your RAM memory. When the operation is completed, it will delete all the cached data and the final file will be saved in your phone's Internal memory or SD card. As an app will save the cached data, next time it will take less time to load that data again. Now imagine if there is no cached data. In that case, your phone have to go through the complete process again which will take more than usual time to load. For example, when you'll open Gallery, it will load all the photos and thumbnails again each time which will badly affect your phone's performance. Cached data also reminds the app which account you're signed in, due to which you don't have to login again and again. Apart from this, they also save their settings, files, database and other important things. First of all, go to "Settings" and click the "Apps" option. Here find the app whose cached data you want to delete and open it. Under storage section, tap the "Clear Data" button and then click "OK" to allow permission. If you want to delete its cache, tap "Clear cache" button. 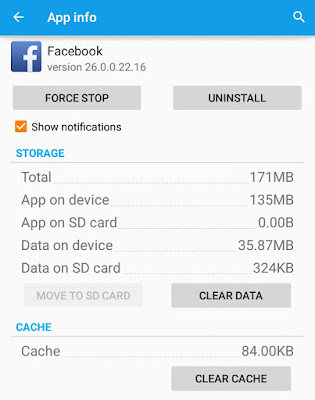 What happens when you delete app cache and app data? As name itself suggests, cache stores app's temporary file. They are used to improve device's performance and speed. Once the files are cached in RAM memory, app can use them any time. If there will be no cache, they have to retrieve that data again and again every time, which will slow down the speed. This is what happens when you restart or power on the phone. Gallery will load very slow as it will retrieve the image thumbnails again. Note that, cache is very small in size, generally in KB's or in few MB's. If you'll delete an app cache, it will delete its temporary files only which will not affect your data in any way. In fact, it can useful to troubleshoot any problem. For example, if you're getting an error message while signing-in, you can clear the app cache to solve this problem. On the other hand, deleting app's data will permanently delete all its files, settings, accounts, database etc., For example, if you'll delete WhatsApp data, it will clear all your messages, voice, music, images and chat conversation. As you'll open the app again, it will look like you're using it for the first time. In other words, it will go in its default state. You've to login again and set up everything from a new scratch. So think twice before doing this, otherwise you may lose your private data by mistake. 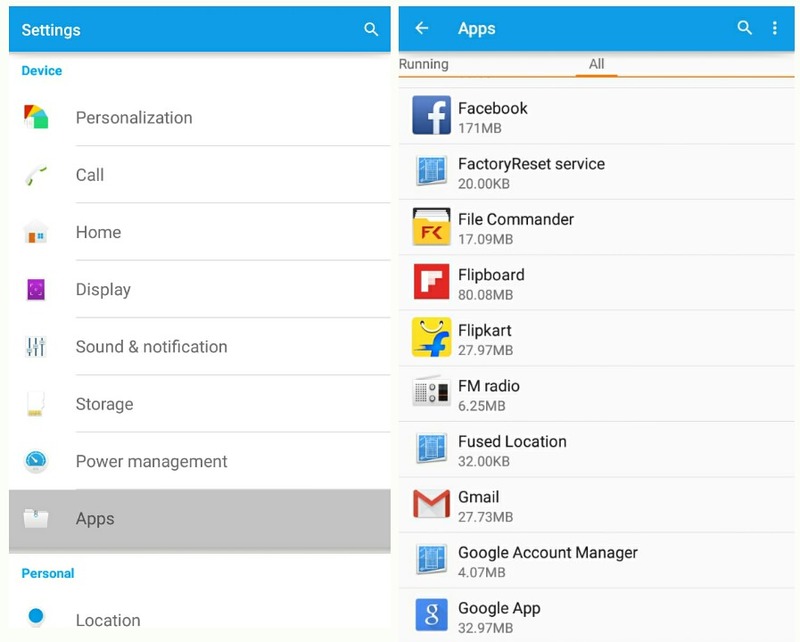 Android also provide an option to clear all apps cached data simultaneously. To do this, simply go to "Settings > Storage" and then tap "Cached data" option followed by "OK" button. This can save many MBs of size in your Android phone. Apart from this, there are a couple of third-party apps available on Google Play Store for free which claims to clear app cache and system junk files automatically. Clean Master and CCleaner are good examples which comes under the task killer apps category. In my previous article, I had already discussed whether the apps like Clean Master are really useful or not, which is worth discussing. Finally if you've any doubts, feel free to ask me in the below comment box. Stay tuned for more interesting tutorials. 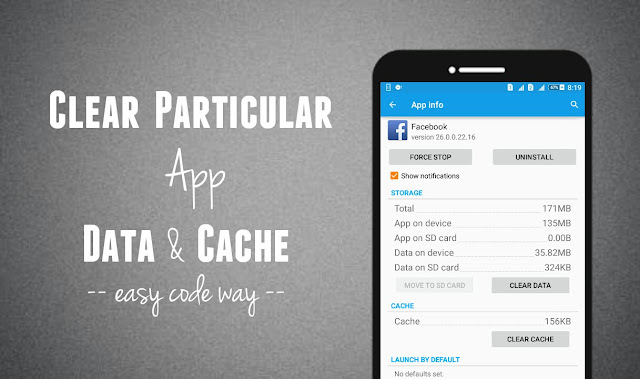 Did you get the main difference between app cache and app data? What do you think?